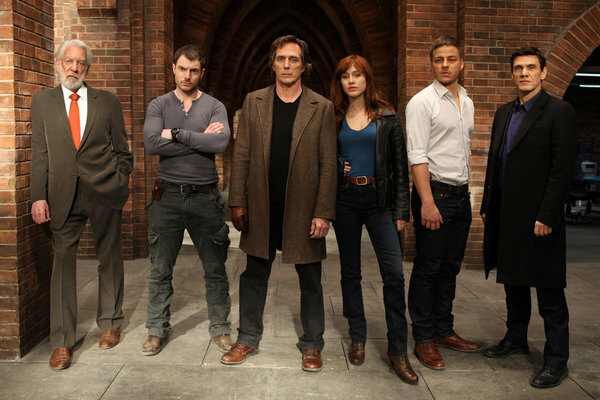 NBC’s new global crime drama Crossing Lines premieres this Sunday. Set in Europe the show follows an elite team of international cops trying to solve cross-border crimes and bring these global criminals to justice. It was created by Edward Allen Bernero, mastermind behind Third Watch and Criminal Minds along with Rola Bauer, Jonas Bauer and Tim Halkin, Emmy-nominated producers of The Pillars of the Earth. Rola, Jonas and Tim run a production company set in Munich and set out to make an international crime drama with the help of show runner Ed. The whole series is filmed in Europe. In a recent conference call interview Ed and Rola talked about the seed of the idea for the show, filming in Prague and what viewers can expect to see in the upcoming season. Watch the two-hour premiere of Crossing Lines on Sunday, June 23 at 9 p.m. EST/8 p.m. Central on NBC. It will move to its regular time slot Sundays at 10 p.m. EST/9 p.m. Central on June 30.